When searching for a flowering shrub, you might prefer one loaded with blossoms or maybe you just want something easy to grow. Perhaps you need a shrub that can survive in difficult soil. You definitely want something that is hardy for northwestern Ontario. One shrub fitting all these descriptions perfectly is Spirea. Most Spireas are native to central and eastern Asia, specifically parts of China and Japan. While some carry a hardiness rating of zone 4, they grow perfectly well here in our slightly cooler Thunder Bay gardens. Spirea blooms are either white or pink. The white varieties are all spring-flowering and the various shades of pink spireas all bloom in summer. Of the white varieties, the most spectacular is Vanhouttei, sometimes called Bridal Wreath (Spirea x vanhouttei), which can grow to a height of over 7 feet tall. Vanhouttei makes an excellent feature shrub with its pretty, graceful, arching sprays of white flowers. A more compact white flowering Spirea is Snowmound (Spirea nipponica ‘Snowmound’), which also blooms profusely, but grows to a height and width of only about 3 feet by 3 feet. Of the summer flowering varieties, Anthony Waterer (Spirea japonica ‘Anthony Waterer’) is a common favourite. It produces masses of carmine pink flowers throughout the summer. 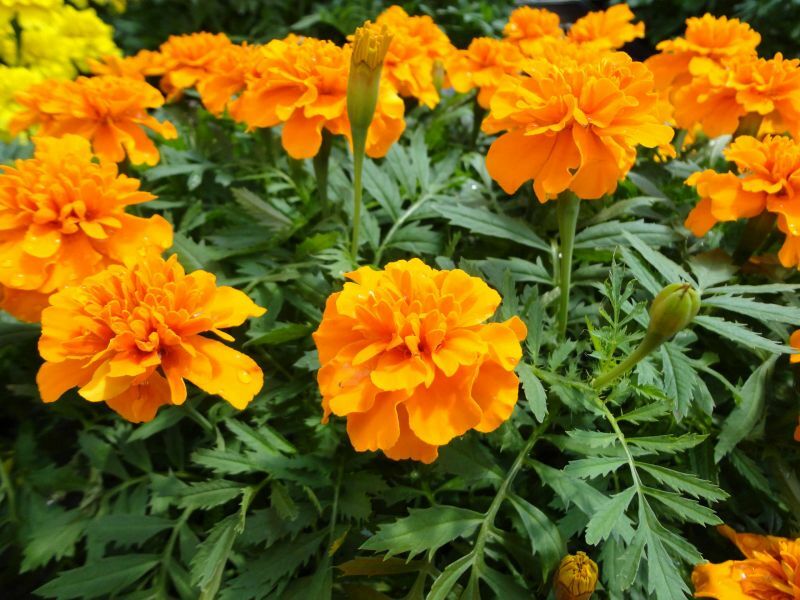 It is a compact variety, growing about 3 feet by 3 feet. Little Princess (Spirea japonica ‘Little Princess’) is even more compact, growing to only about 2 feet high with rose-pink flowers. Along with lovely blooms, some varieties of Spirea have interesting foliage, which makes them captivating additions to the garden even without the flowers. The new growth on a Flaming Mound (Spirea japonica ‘Flaming Mound’) is tinted red. The foliage fades to golden yellow as it matures. Goldflame (Spirea japonica ‘Goldflame’) has bronzy-gold new growth which fades to a soft yellow-green in summer then coppery-orange in fall. Goldmound (Spirea japonica ‘Goldmound’) has yellow to chartreuse foliage. All three grow to about 2 or 3 feet tall and wide. Their unique foliage colour makes them excellent accent shrubs, contrasting nicely with evergreens like Juniper or Mugho Pine and the dark, deciduous leaves of Purpleleaf Sandcherry, Rose Glow Barberry or Summer Wine Ninebark. 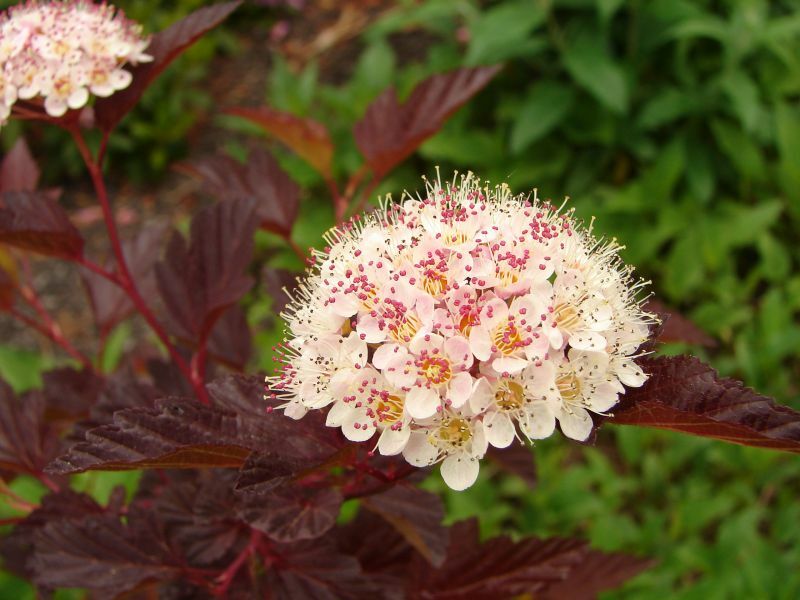 Spireas are easy to grow, low maintenance shrubs. They will thrive in just about any type of soil, as long as they are planted in full sun or light shade. All varieties of Spirea require yearly pruning. Spring flowering white varieties must be pruned immediately after the blooms fade. The summer-flowering pink types should be cut back in late winter or early spring before the leaves appear. If a Spirea starts to bloom poorly or if it becomes leggy, a severe pruning to a few inches above the ground will revive it nicely.